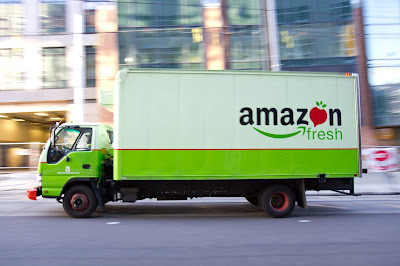 A New York Times report says the grocery business represents “about $800 billion in annual spending in the United States.” AMZN has already attempted to carve out a piece of that pie (pun intended) with its AmazonFresh service, which lets members place grocery orders online and schedule delivery, much the same way as they can when purchasing other items. With the acquisition of Whole Foods, Amazon should be able to more easily deliver groceries to members — especially in locations where Amazon has yet to establish a strong enough presence. Currently, WFM operates approximately 460 grocery stores among the U.S., Canada and the U.K., giving Amazon more operational points in major cities and suburbs. Also, consider the purchase of Whole Foods from another perspective: kingslaying. One of Amazon’s most powerful e-commerce rivals is Wal-Mart Stores Inc (NYSE:WMT), the largest retailer in the world by revenues … and also the largest grocery retailer in the U.S. Heading into Friday, though, the narrative was less Amazon competing with Walmart on the ground, but instead the big-box retailer bringing the fight online. Consider Walmart’s $3.3 billion purchase of Jet.com last August — a move that has paid big dividends in the retailer’s digital growth already — and yesterday’s overshadowed announcement that it bought menswear specialist Bonobos for $310 million. It’s unlikely anyone actually believes Walmart could ever knock Amazon off its pedestal, but being able to simply go punch-for-punch with Amazon online — combined with its brick-and-mortar dominance — cemented the idea that WMT would continue to be a stable force. And while AmazonFresh is growing, AMZN hasn’t been considered an immediate threat to Walmart’s top-flight grocery business. The Whole Foods purchase improves Amazon’s odds and speeds up the timeline. In the course of a day, Amazon’s attempts to become the world’s biggest retailer (online and off) took a pivotal leap forward. Costco doesn’t quite equal Walmart in the grocery business, the discount shopping club represents a massive presence in the U.S. Amazon Prime is constantly hailed for its growing membership, which sits at about 80 million currently … but Costco has amassed nearly 88 million members willing to pay to go to its physical locations for bulk discounts. Amazon’s purchase of Whole Foods could result in more competitive costs for organic groceries, but it’s also likely that this buy will be used to advance the broader AmazonFresh business, making regular grocery delivery faster, more accessible and cheaper. That could result in a slow bleed of Costco members as they find increasingly better values — ones that would show up on their doorstep. That’s what led Goldman Sachs to downgrade Costco from “Buy” to “Neutral” after yesterday’s announcement. Goldman now sees a price target of COST stock to $176 — mere 5% improvement from Friday’s closing price — from its previous PT of $197 per share. The worry is the one two punch from the emerging Amazon-Whole Foods threat, as well as Walmart and its Sam’s Club warehousing division. Costco shares dropped more than 7% yesterday in the wake of the Amazon announcement and subsequent downgrades. And it’s very likely that COST stock will continue to drop — Amazon does, as we all know, have a nasty habit of destroying every market it enters.